Image Size: 17.5 X 23.3 in. Image Size: 28 X 37.3 in. The red wine flows from its bottle forming a heart as it splashes up. 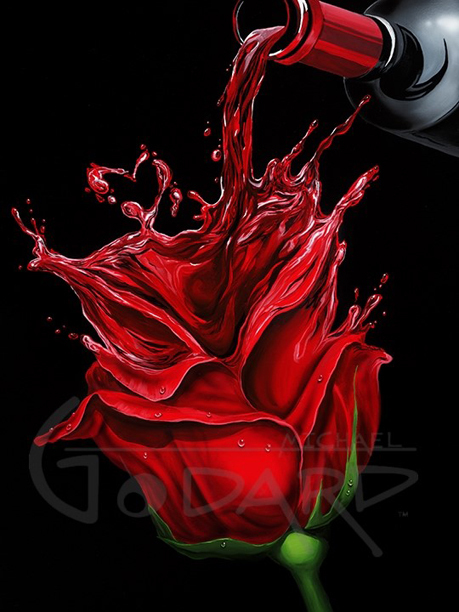 The wine morphs into a beautiful red rose. These symbols come together and transform, celebrating how simple things become beautiful through love.